I was really excited when I learned about the Mycestro mouse and the product testing program through SproutUp. When I first saw pictures and other reviews of this revolutionary mouse, I immediately thought of my Father In Law, who suffers from carpal tunnel syndrome. It was my thought, that wearing the mouse on your finger, and using your thumb to control the cursor would be much easier, and less painful then holding the mouse with your entire hand. And I was right, it does take the strain off of the carpal nerves, but I was not able to actually have my father in law test it out. Here is my review. 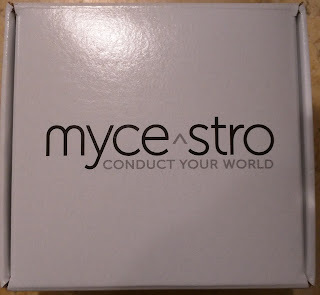 Upon receipt of the shipment, I was really excited to open the box up and get started. The packaging was simple and straight forward, consisting solely of the finger mouse, a bluetooth USB dongle, a standard USB cable, and the instructions. While charging the mouse (which took me about 1 hour while using it), I quickly got started. The USB Bluetooth dongle plugged right in and immediately was recognized by my Chromebook. Putting on the device was not very difficult, but finding the perfect fit/location proved a bit challenging. I was unable to get a snug, comfortable fit. Controlling the cursor with the Mycestro was, for me, extremely difficult. Speaking to others that have tested this unit, I learned that it takes about 2 weeks to get really comfortable and proficient with the cursor control. However, for me, this did not happen. By the end of my 2 week trial, I was still reaching for the touch pad, especially when I needed to close a browser tab. Essentially, I just could not do it. When using the tapping gesture on the Mycestro to close a tab, the sensitivity constantly caused the cursor to move off of the X to close a tab. It was this reason that I did not have my father in law test the device. He is gets frustrated easily as a result of his carpal tunnel and I really felt this would cause him to gt to upset to be worth the test. 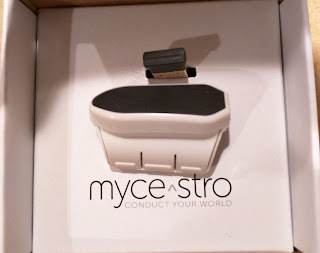 Although conceptually the Mycestro is a great concept, I do not think it is ready for the world. A $149 price is pretty steep for anyone when there is such a large learning curve, especially one that may not even be achieved. If there was more capability to control the sensitives and even set custom gestures I think this product would then be a home run. Full Disclosure: This product was provided to me at no charge for the purpose of providing a product review. I have provided a completely unbiased review and was not influenced in any way to provide a positive review.